hi friends. thanks for joining me in the lovely package exchange this week! if you missed it, simply click "older posts" at the bottom of the blog to scroll back + see all the good stuff! has anyone else noticed the number of posts being limited on the first page? i found out a couple days ago, blogger is now limiting the number posts that appear on the first page of your blog, based on the amount of html + images you have. so the first page of my blog is only showing 4 posts.. i do have a ton of images in each post. so anyway! what are your weekend plans? the image above are some pretty necklaces i picked up for our engagement photos. (and we got our huge letters in! trying to decide on a color) well, here are some links i came across this week, definitely worth posting. giverslog: in keeping with lovely packages, this lovely site has a whole gallery of pretty packages from around the community. cardonizer: another cool gallery of all things business cards! love business card design. blog + business workshop: marta writes. a wonderfully fabulous workshop all about blogging + business! you could really take a whole weekend and read all these lovely topics covered. also, i'm starting a 'specials + coupons' gallery that will contain special discounts for readers of oh, hello friend. if you have a shop and are interested in offering an exclusive discount or coupon, please contact me to be considered for the gallery. 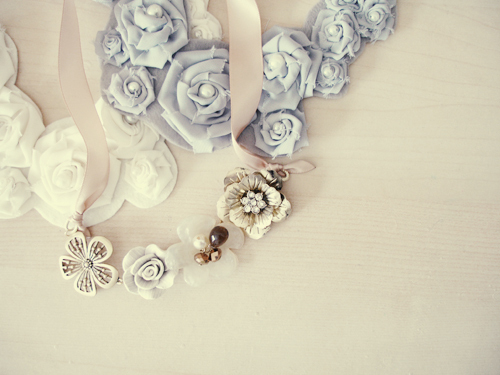 those flower necklaces are soo beautiful! can't wait to see your pictures! have a great e-session and weekend! i love that flower necklace- where is it from? i've been looking for something JUST like it :) :) love your blog! Dani, you are one of the most delightful, creative people I have ever met in the blogworld and your blog is my absolute number 1! Thank you so much for sharing who you are and what you do with all of us. I cannot wait to hear (and see) how the wedding plans are coming along. that necklace is to die for! looking forward to the swap! thank you for the sweet shout out. i truly appreciate it and love your beautiful space here. so inspiring and full of eye candy. have a lovely weekend. Nice links, everything's so inspiring! Hello! I can't find the winner of the giveaway of DEAR BEATRICE and POLLY DANGER...where are?? 1st) love the blog. 2nd) love the orange letter. 3rd) ready for the lovely package exchange, i can't stop thinking of gift ideas (my brain is in overload!). I too would love to know where the necklace is from! I'm sure your pictures will be simply amazing, can't wait to see them! I love that color blog - what a neat idea! i'm going to visit the links tomorrow! I think that large letters like that for weddings are absolutely marvelous!!! Looking forward to your lovely wedding and the photos that will come!!! I am so happy I found your blog- it's amazing. Loved the color collective blog it's similar to Kris's color stripes here --> http://color-stripes.blogspot.com/ I found ages ago, but color collective has a wonderful pretty style I adore and amazing palettes. Thanks! 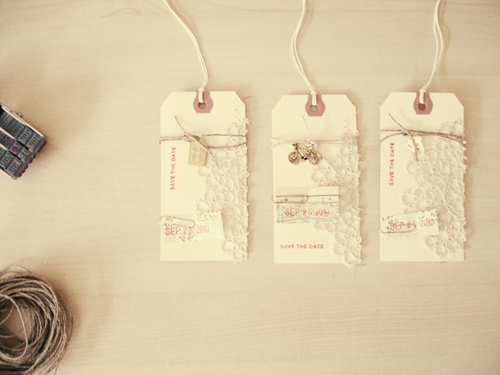 i loved your diy save the dates! so lovely.